Stephen Weiss' tenure in Detroit appears to be coming to an end. 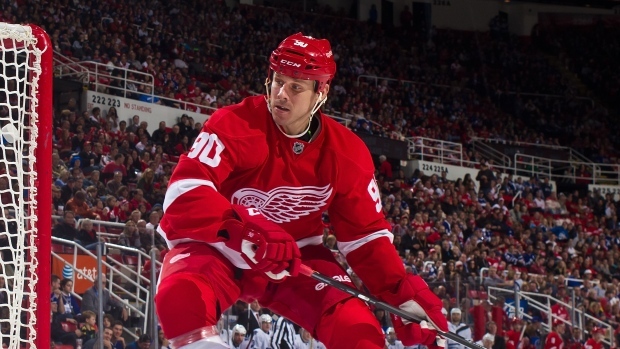 According to TSN Hockey Insider Bob McKenzie, the Red Wings are expected to buyout the veteran centre. All indications are DET will buy out Stephen Weiss this afternoon. Weiss is two years in to a five-year, $24.5 million contract signed with the Wings ahead of the 2013-14 season. The 32-year-old had nine goals and 25 points in 52 games for the Red Wings last year. Weiss' Detroit tenure was injury-filled, finishing with just 78 games and 29 points through two seasons. For his career, the former fourth overall draft pick has 156 goals and 423 points in 732 games spent with the Red Wings and Florida Panthers.